Landed in a field and flipped over. DAVIS, California (KCRA) — Officials are investigating a small plane crash near County Road 95 and County Road 31 in Davis, the Yolo County Sheriff’s Office said. 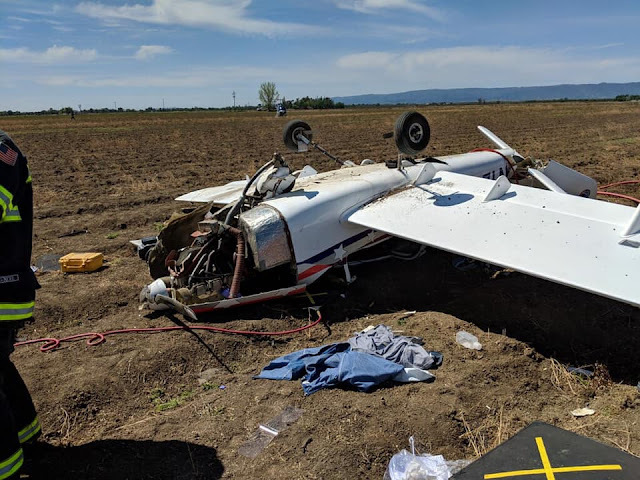 Deputies responded to the plane crash at around 11 a.m. Saturday, just south of the Yolo County airport, the Sheriff’s Office said. The plane initially took off from the airport. Officials said the pilot then tried to land the plane in a farm field and the plane flipped over. The Sheriff’s Office said that the pilot was the only occupant of the plane and was taken to a nearby hospital. He suffered major injuries, according to the California Highway Patrol. The Federal Aviation Administration is now investigating.